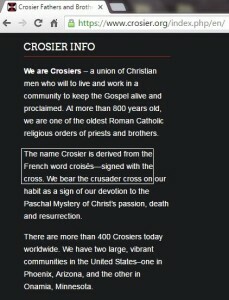 It is felt that today’s Crozier name predominately used is of a Scottish-Ulster derivative to differentiated the name from Crosier used in England. 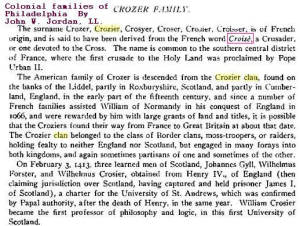 Though croise referred to as crusader, of an earlier definition from the 14-15th centuries could be a form of the word cross. 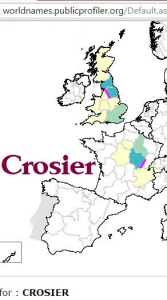 The above shows base spellings of Crosier and Crosyer, where in the sixteenth century it is common like in the Celtic-Breton spelling of Eliot, and Elyot at the time; for the i to be replaced for the y. 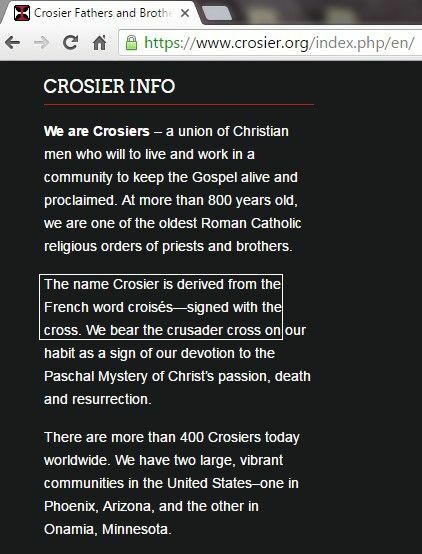 In the sixteenth century Scotland we have spellings Crosier and Crosyer, but not Crozier. 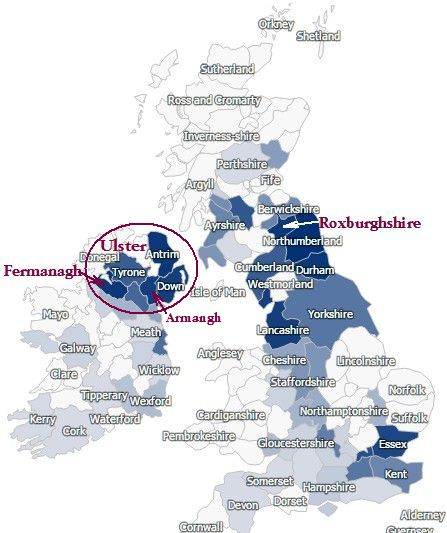 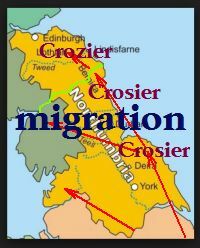 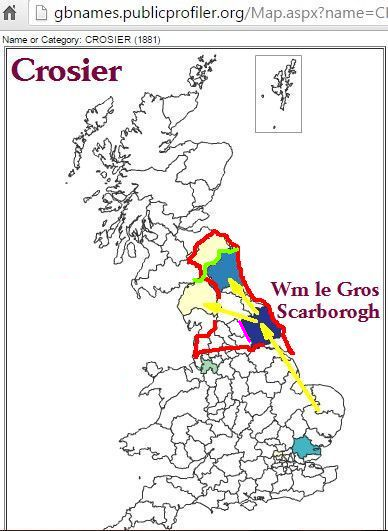 Crozier is found more in Scotland and Ulster Plantation in which the Scots migrated to, but England seems to retained the Crosier spelling. 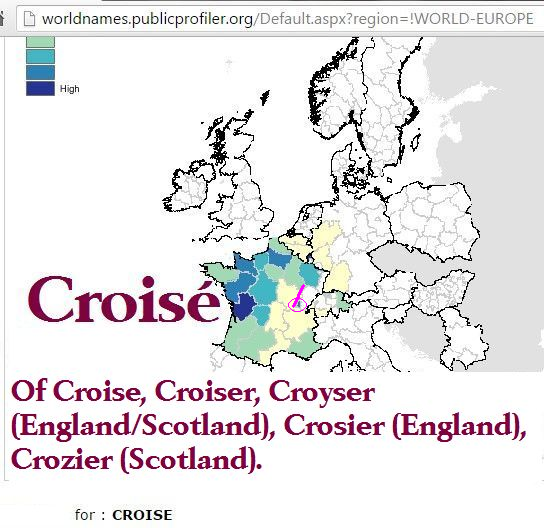 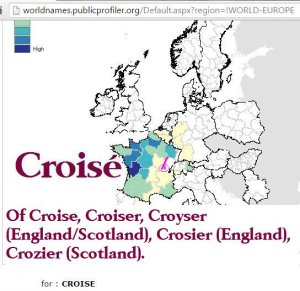 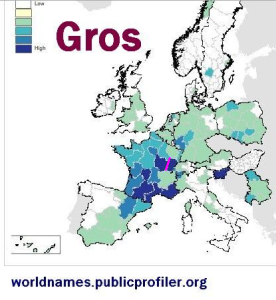 It is felt that the names of France Croise and Le Cros had influenced the name Croiser/Crosier, where now in Scotland and Ulster the “s” was replaced with an “z” to make it Crozier. 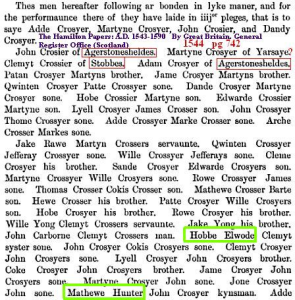 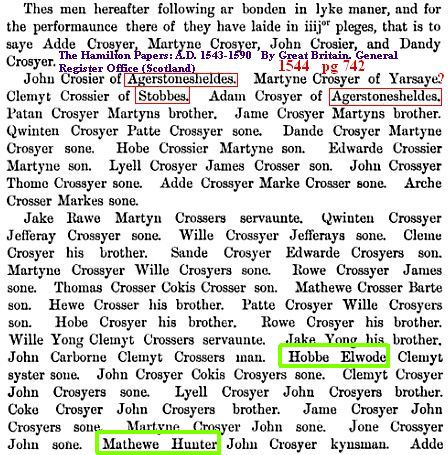 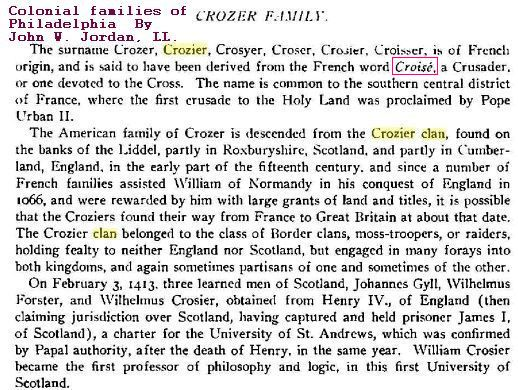 The Croyser is a version of Croiser, but could have been influence by a region of Croyland (Crowland), which the descendants may have lived.